Elsa Hosk looks ready for her closeup as the face of Logan Hollowell’s 2019 campaign. 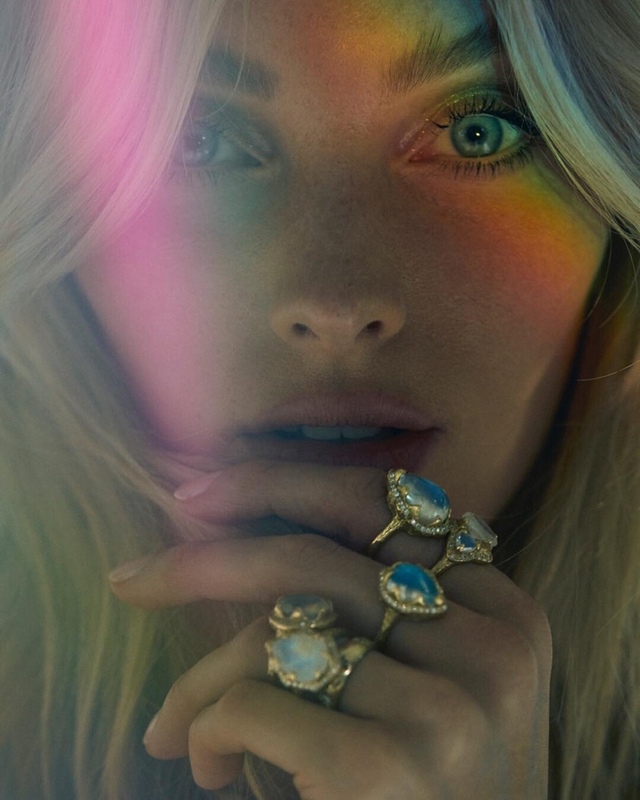 The Los Angeles-based jewelry brand enlists photographer Zoey Grossman to shoot the advertisements. Elsa poses in a white tee, jeans and little else to go along with these sparkling designs. Inspired by constellations, numerology and sacred totems; Hollowell’s jewelry takes on mystical vibes. See more images of Elsa below!